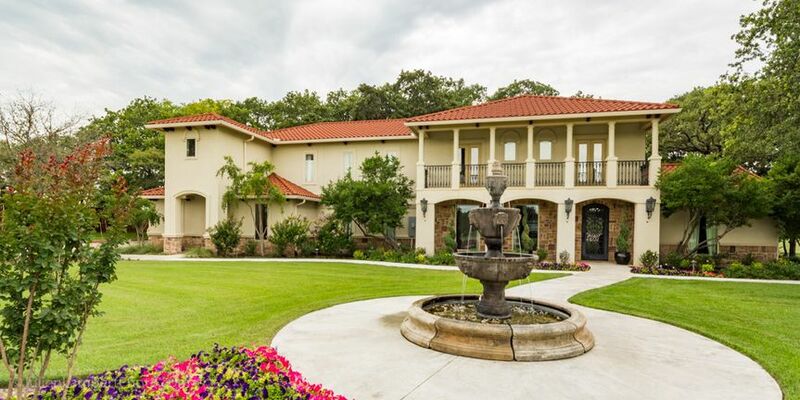 The Hampton Estates is a Mediterranean-style wedding venue and spa located in Weatherford, Texas. 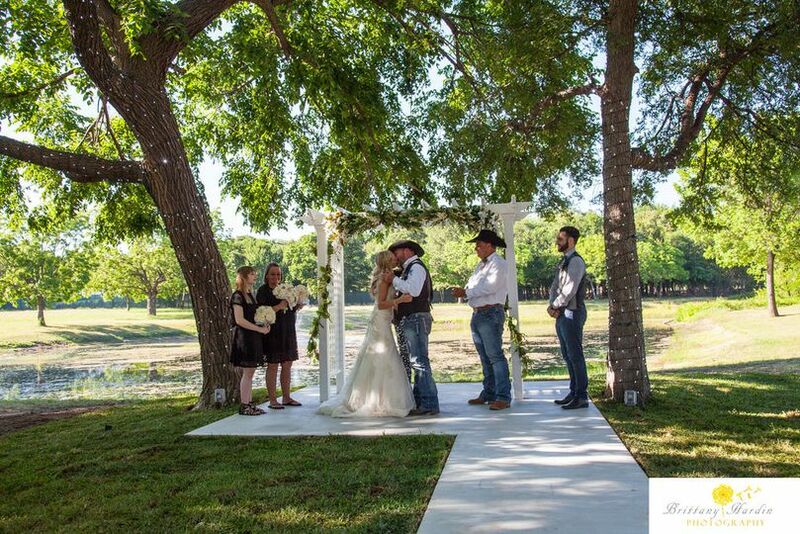 Couples will experience beautiful oak trees on their 13-acre estate. 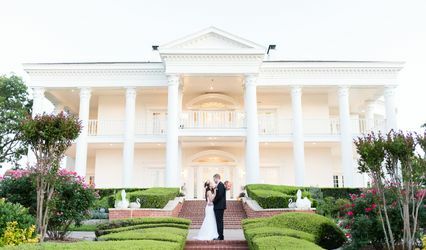 Their elegant two-story mansion is the ideal setting for both intimate gatherings and lavish affairs. 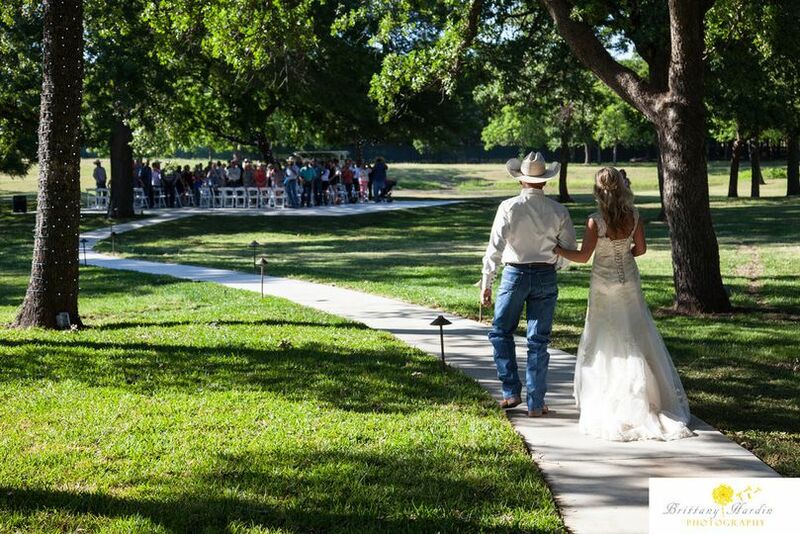 The Hampton Estates is a new event venue, conveniently situated just west of Fort Worth, off of Interstate 20. 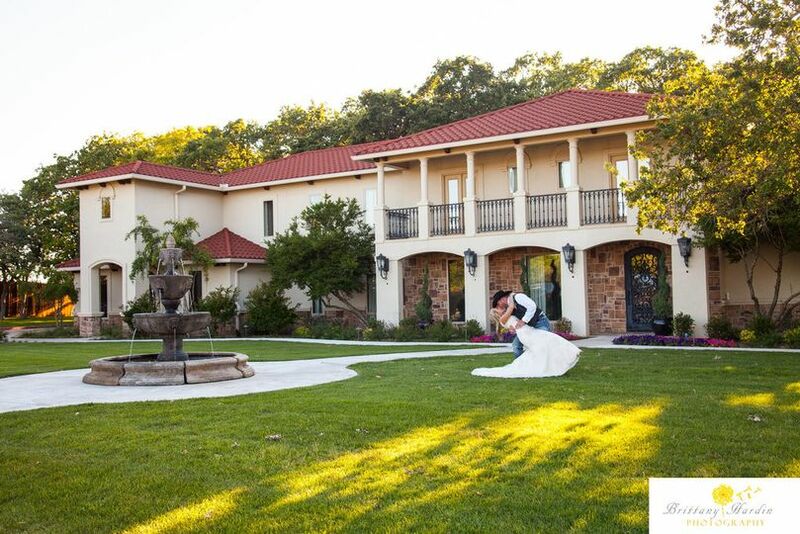 Couples can accommodate up to 350 guests at this romantic venue. 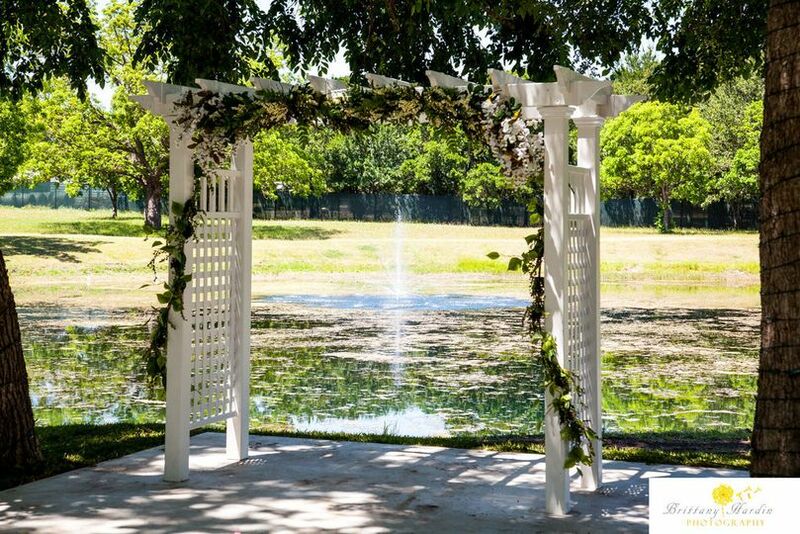 For your ceremony, they offer a beautiful outdoor site located near a gorgeous pond and fountain. 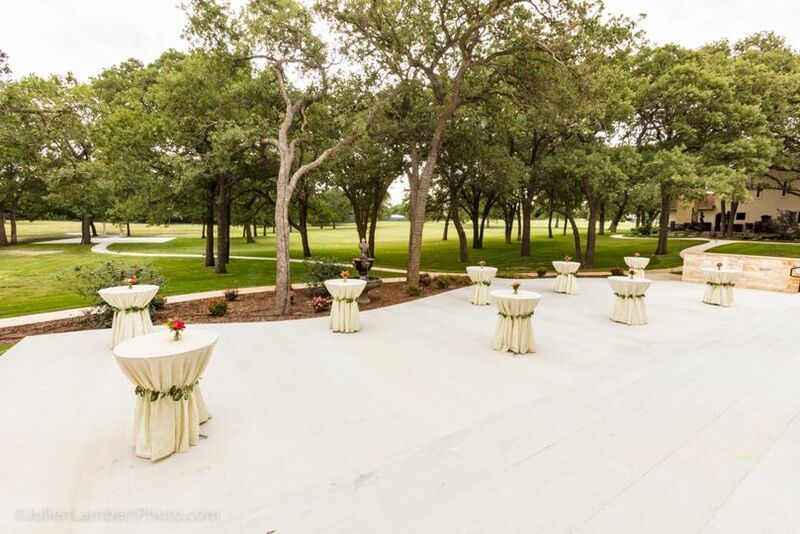 They have a picturesque patio area for your cocktail hour, where your guests can mingle surrounded by amazing oak trees. 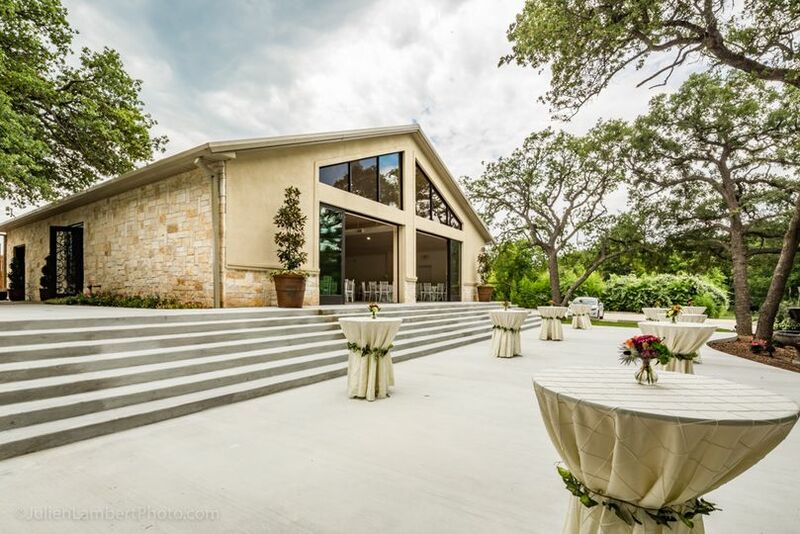 For your reception, you can dance the night away in their fabulous ballroom. This spacious space features grand sliding doors to their outside reception area, as well as breathtaking views of their pond and grounds. It also boast an in-house bar and a projector that you can use as you see fit. 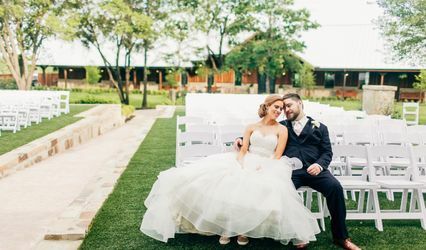 The Hampton Estates offers a Bridal Suite, Bridesmaids’ Suite, Groom’s Lounge, Men’s Changing Rooms, Dining Room, Lounge Area, Hair Salon and Makeup Room on the premises. 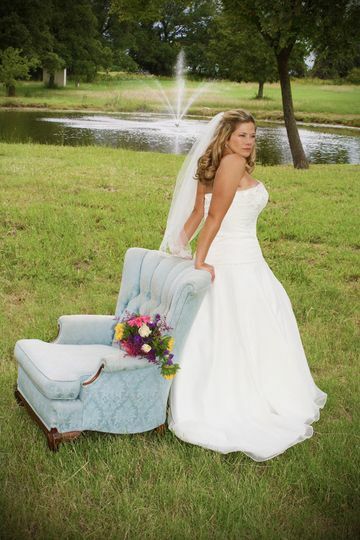 The bridal suite features a vanity, seating area and three oversized dressing mirrors. You'll also have access to their full master bath with a soaking tub and shower for pre-festivities pampering. The groom and his groomsmen will enjoy a big-screen TV, pool and ping-pong table, bar and comfy chairs in their spacious lounge. 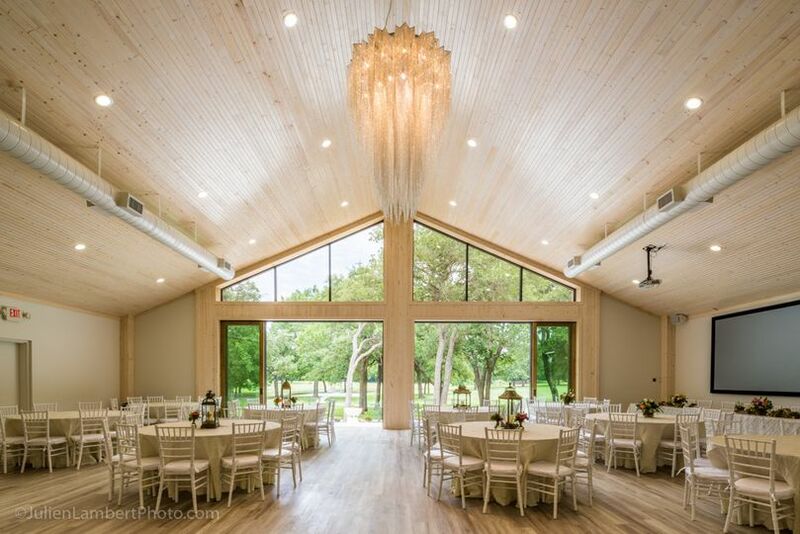 My husband and I had our wedding reception here a little over three weeks ago. The property is gorgeous! It has a little pond, trails, and a lovely ballroom. The ballroom can hold up to 200 and opens out to the patio area in the back. 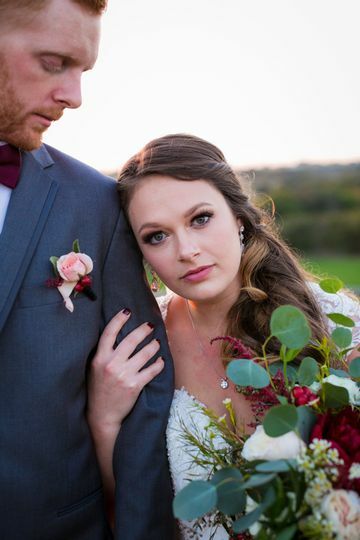 We worked with Crystal and she was very helpful and prompt any time I had a question. 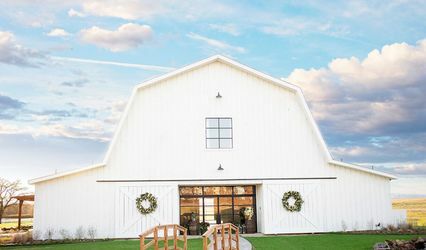 I would definitely recommend the Hampton Estates to Brides looking for a unique location!